I haven’t posted in a while mainly because I was traveling, but I actually got two origami books there when I was free. The first is Works of Satoshi Kamiya 2, which means I’ll have that to do after the first one. 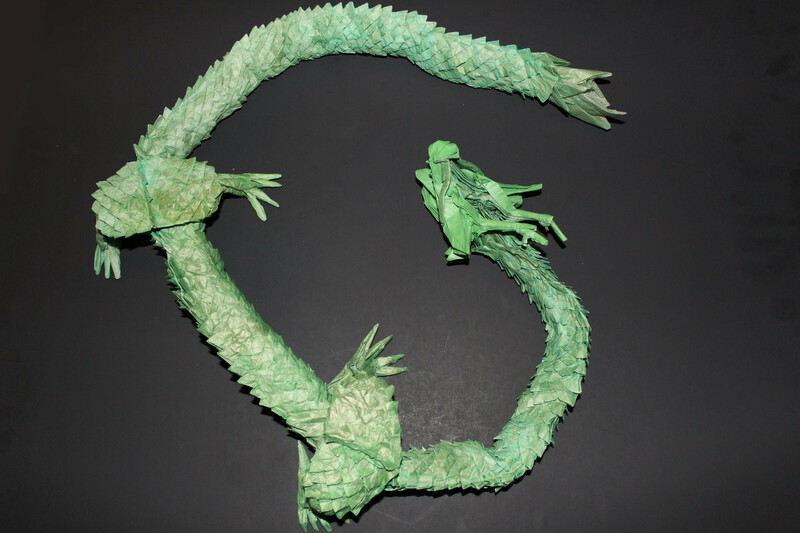 The second one is Dragons and Other Fantastic Creatures in Origami by John Montroll. I did the models in that book in the car ride back home. John Montroll is one of my favorite artists. He has hundreds of great designs in dozens of books. 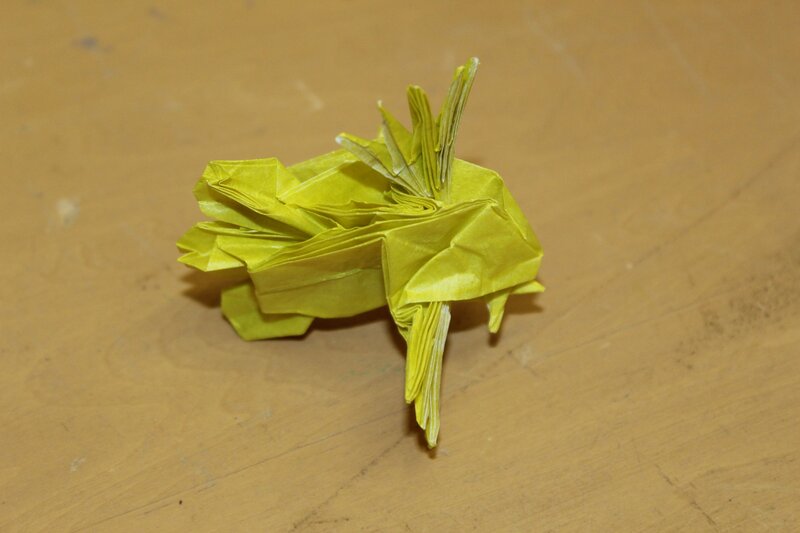 His animal origami book was one of my first ones, and some of his books I have (that are great) collect models of African animals, North American animals, prehistoric animals, and mythical creatures and the Chinese zodiac. His books tend to be organized by section (with each section sorted by increasing difficulty), and this one has sections of weapons, dragons, humanoids, and creatures. The weapon and humanoid sections only have four models each, and the weapons are much more simple, warm-up models. The two-headed martian on the right has a face on each head (it’s a little hard to see in my pictures, sorry). There are 10 different dragons, though some have similar bases. He has 1 to 3 headed dragons, then winged dragons, then eastern and western dragons, and then winged dragons with multiple heads. The creatures section includes a griffin, a unicorn (which I went a little cubic on), a wyvern, a phoenix, and various animals with wings attached. 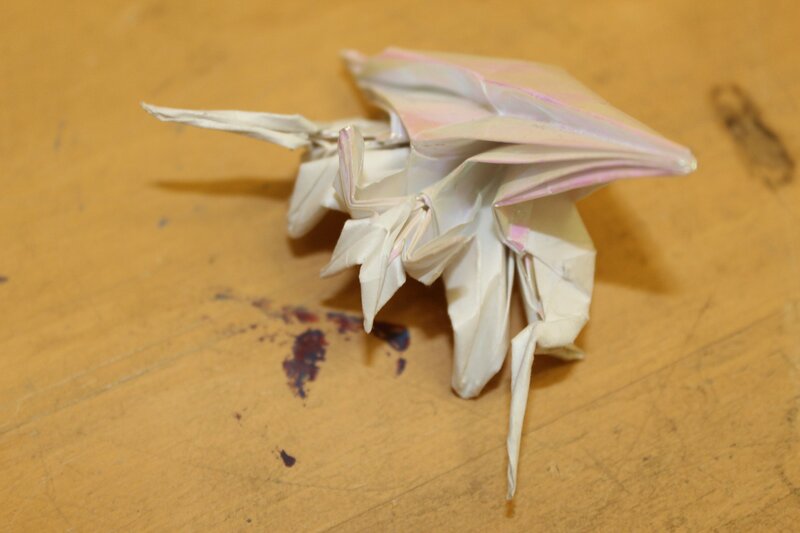 The last model is one of the best; it’s a unicorn with wings (or a pegasus with a horn). I had wanted to post every Tuesday and Friday, but I’m probably only going to be able to do Fridays. I thought some random ones might be fun. Anyway, I had these in my camera. 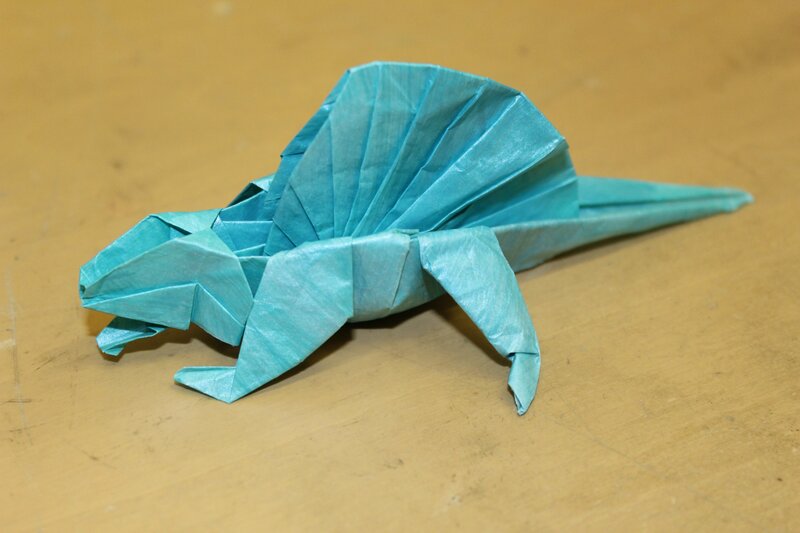 This Dimetrodon was designed by Fumiaki Kawahata and is in his book, Origami Fantasy. 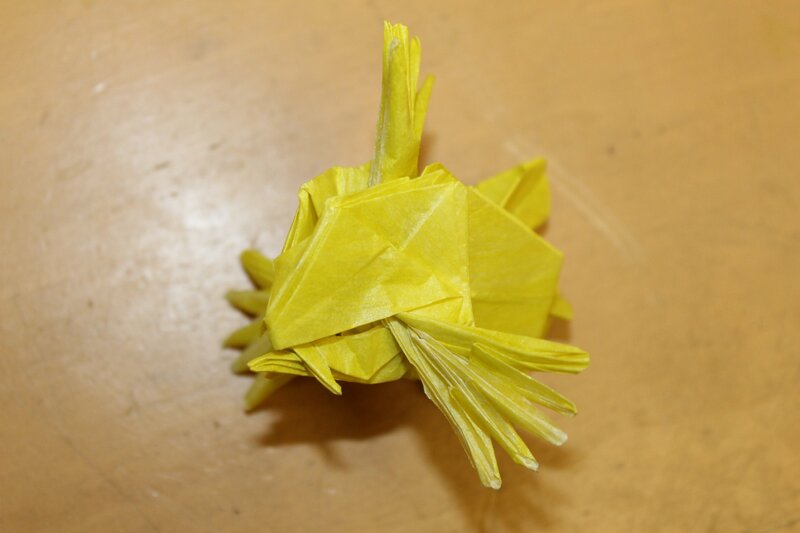 I got the book just before it went out of print and have made nearly every model (I think). 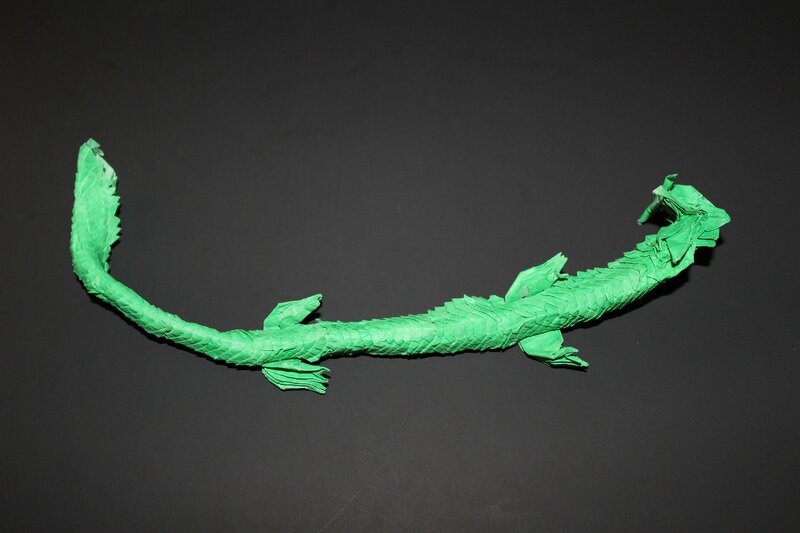 I’m surprised I can’t find more lying around (the stegosaurus is especially ingenious); they’re all great models and fun to make. This dude’s spine is awesome. 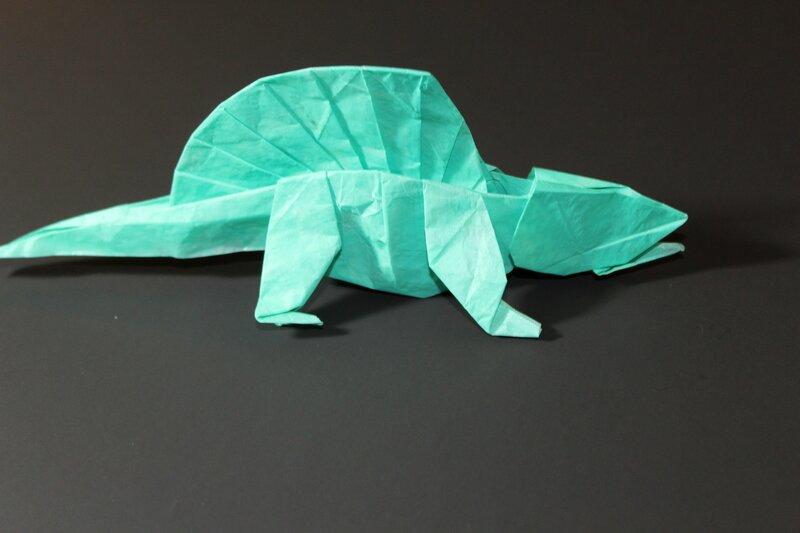 The Dimetrodon, I mean. 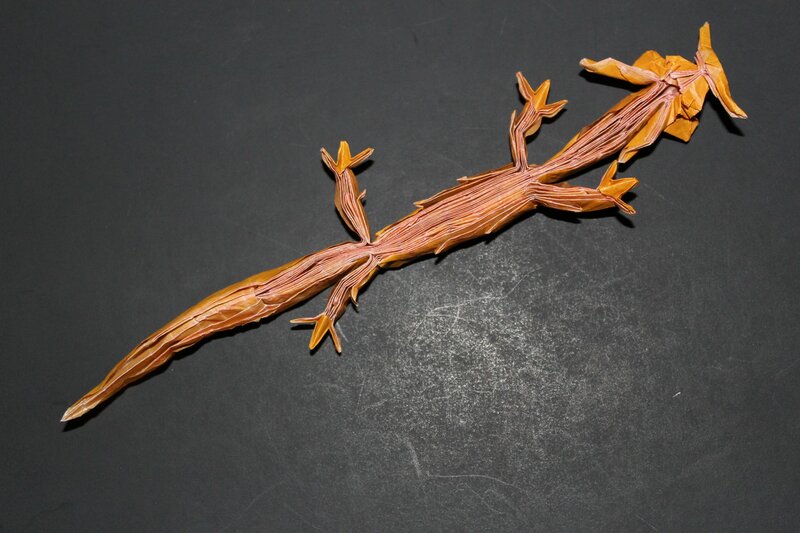 I have no information on Mr. Kawahata’s spine. 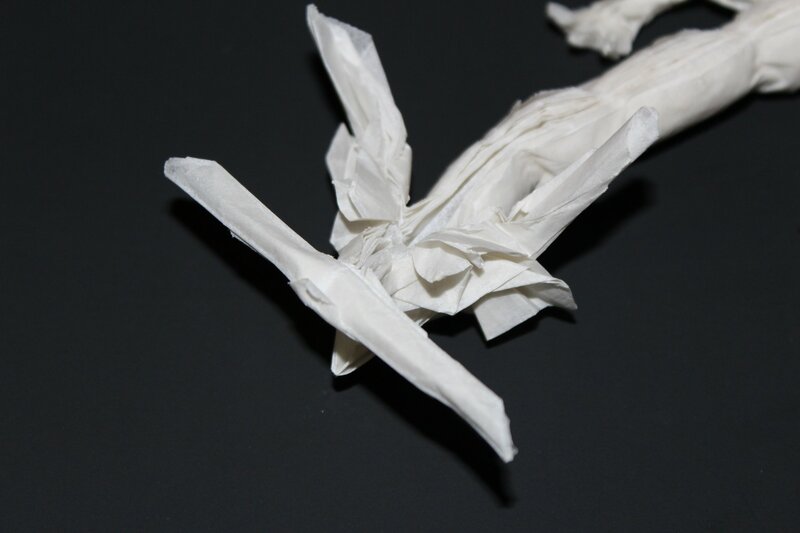 Diaz’s origami is usually wavy. 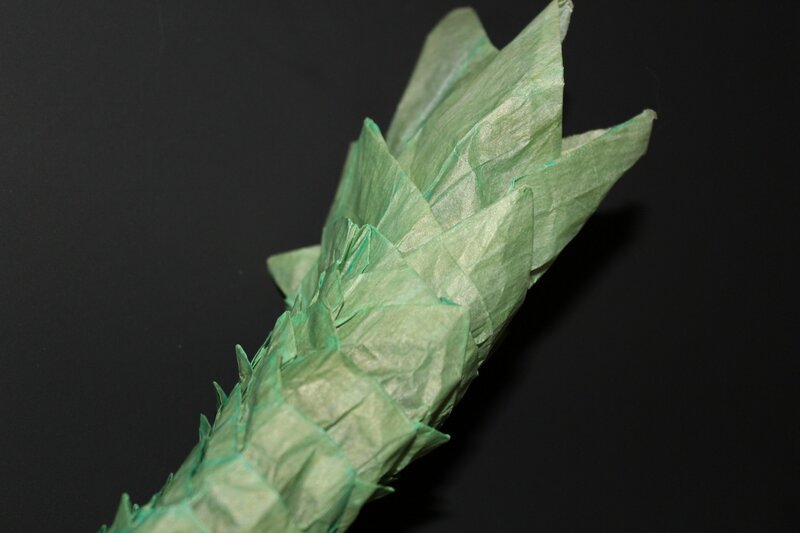 Not wavy like the more abstract origami that’s all waves, but very clearly wavy, as an interesting aspect. Around 10-15% wavy. 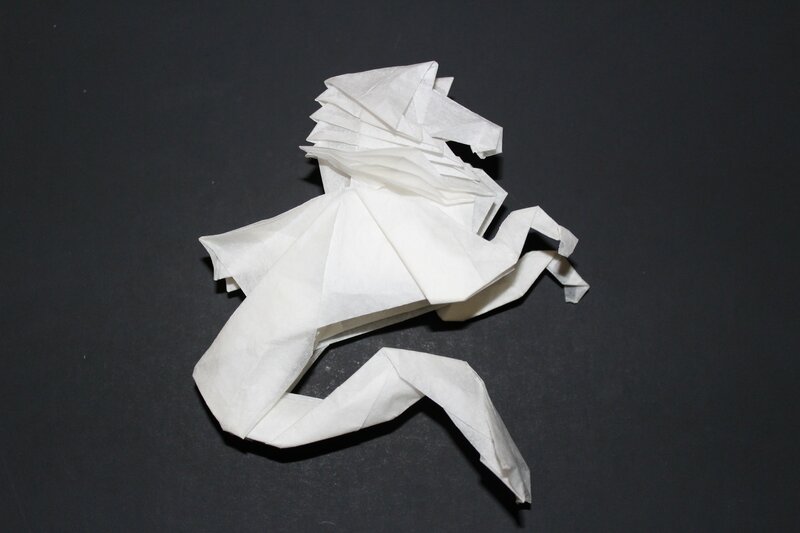 A Hippocampus is a mythical water horse, and this one (from Origami for Interpreters) incorporates wavyness particularly in the mane turning to gills, the horse nose-face-whatever, and the fish-foot-thing. Sometimes, my descriptions can be a little lacking. Lastly, I have some designs created by Robert Lang. 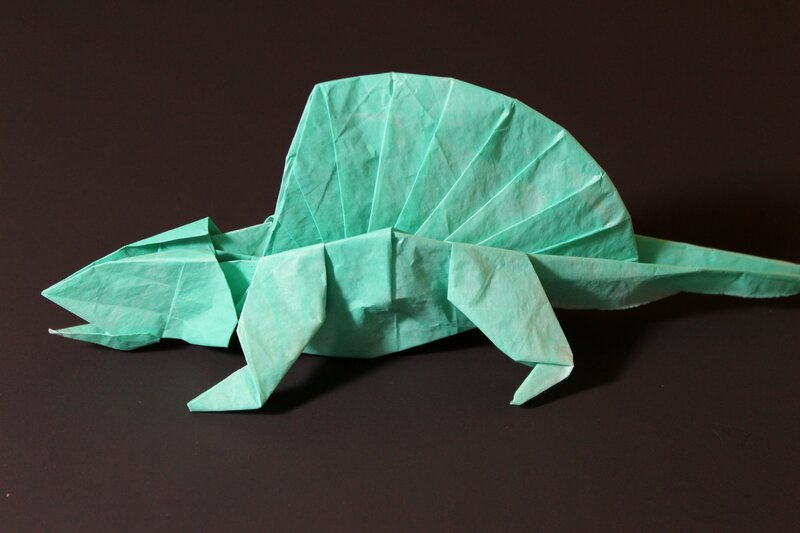 I like most of Robert Lang’s origami. The “Opus” numbering he has kind of rubs me the wrong way. But it’s fine. 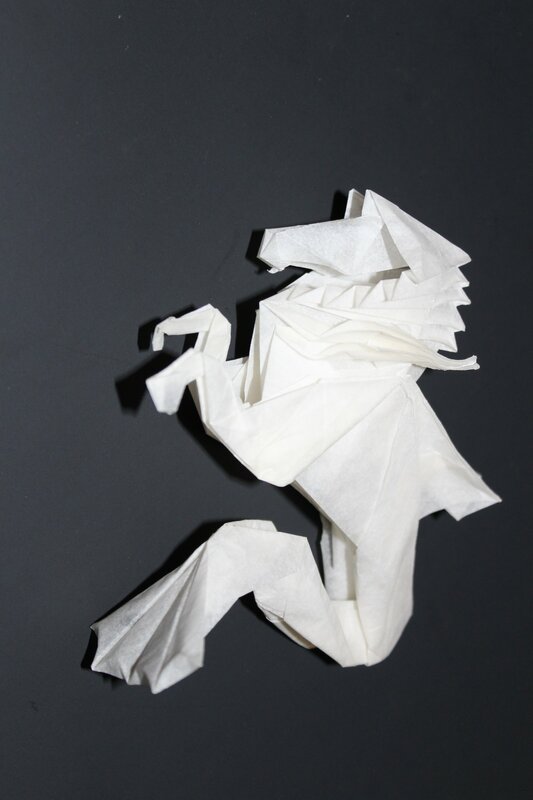 Really, it’s just that, when I folded his Assyrian Bull, it didn’t stand under its own weight. I mean, that’s fine. 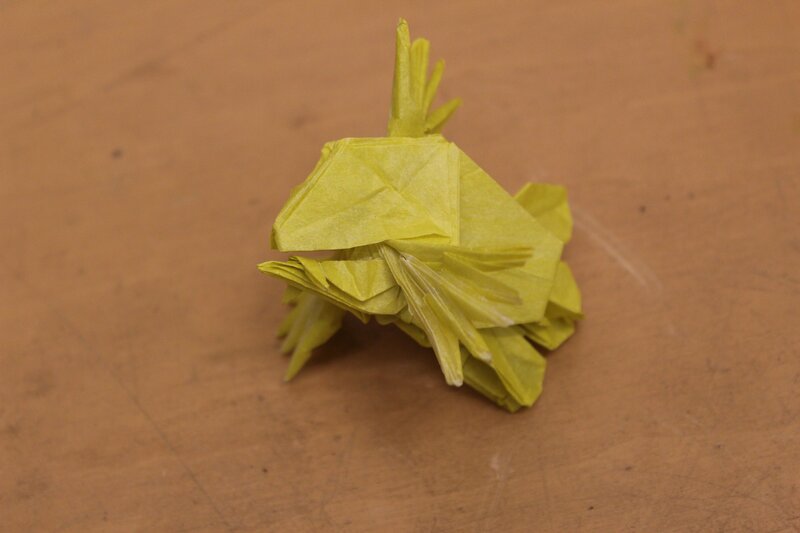 I should have been able to tell its legs couldn’t hold it from the crease pattern. So, it’s fine. 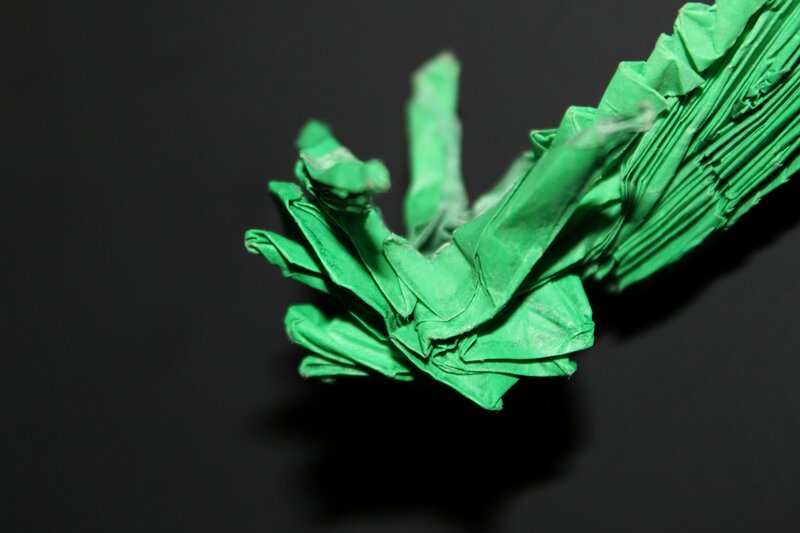 I had it hung over my desk for a while, with a few of Takashi Hojyo’s Geistkämpfers. Their arrows were aimed at the bull. 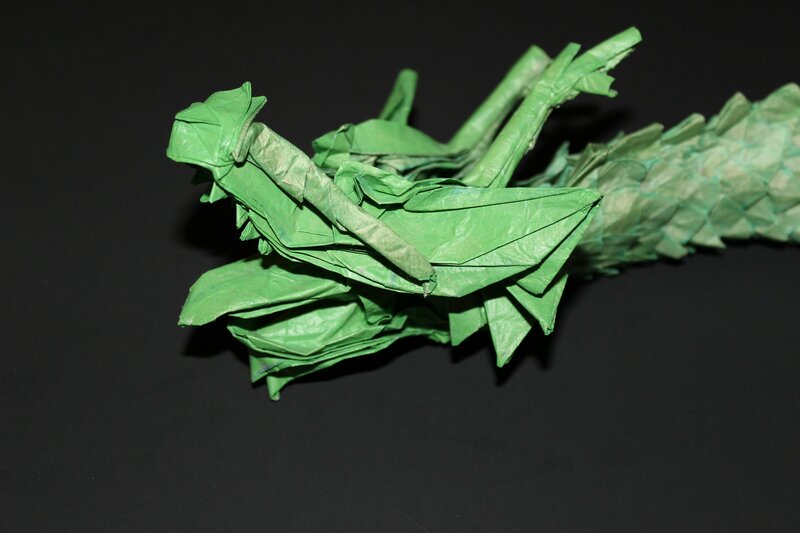 The Lionfish and Hermit Crab are from Origami Sea Life, which was a co-book with John Montroll. 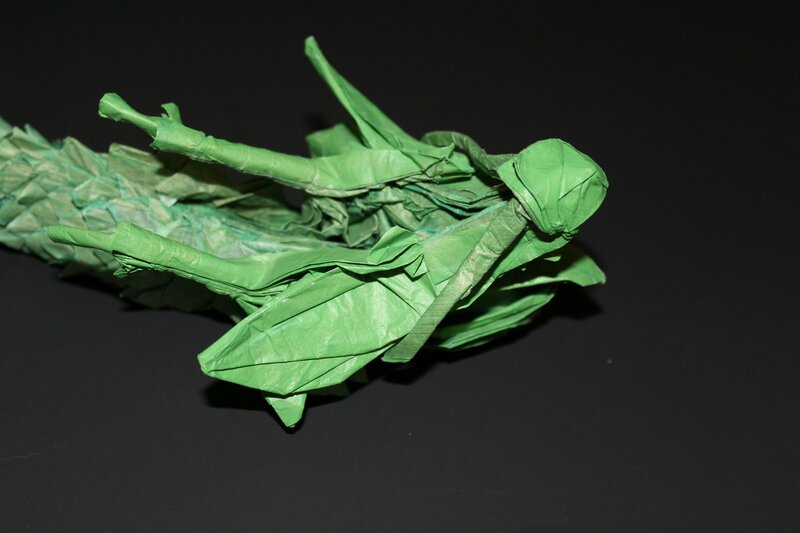 John Montroll has many clever designs, many with color changes, which you do not see here. Maybe another week. I don’t know exactly why I like the Lionfish so much, but I do. Maybe because he’s so pointy? 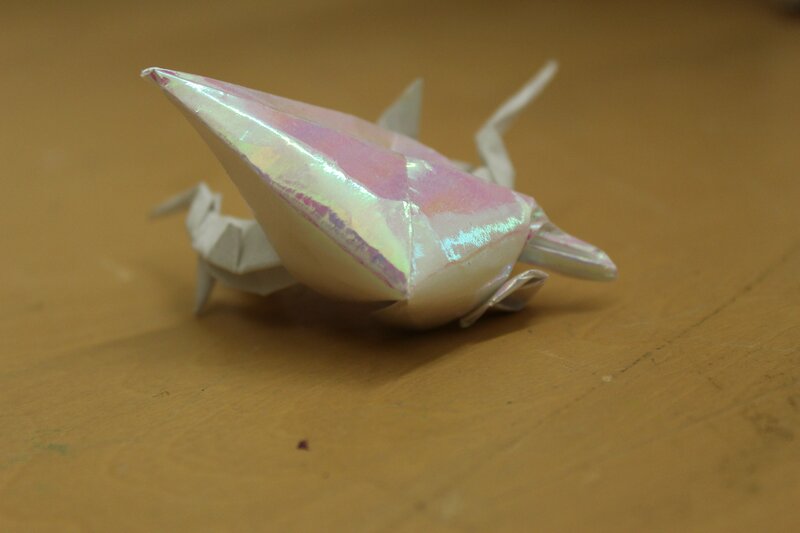 I had gotten some opalescent paper that I didn’t know what to do with but remembered the Hermit Crab! He’s adorable but a little hard to photograph. 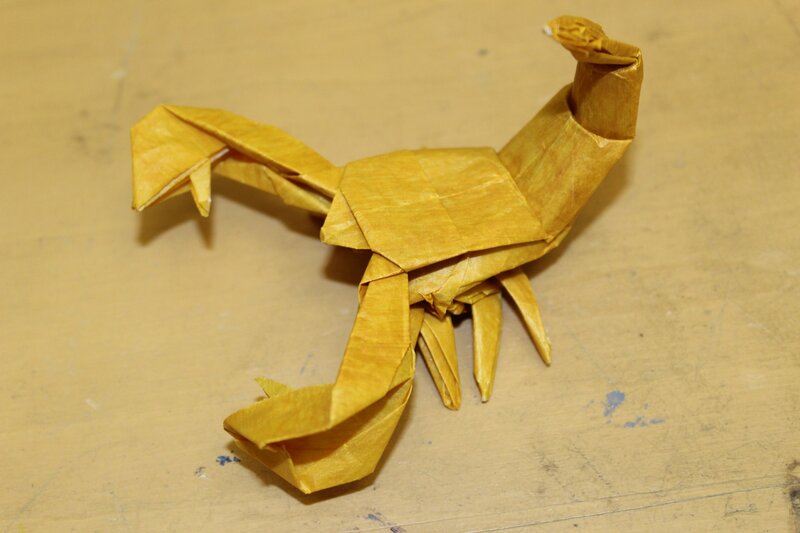 This last one is Lang’s Scorpion from The Complete Book of Origami. He has several other scorpions, but I like this one the most of all the ones I’ve seen. He has a good face. Also, I don’t much like wet folding.